Thanks to the growing number of fast food chains in Belarus, you can treat yourself to a burger almost anywhere. However, you don’t want just ‘any’ burger, right? We have found the best burger places in Minsk to try the tastiest and actually ‘healthiest’ homemade burgers! This place is famous for its delicious steaks and burgers. They have around 14 kinds of burgers and even one called ‘Drunk burger’! You can also get a set of mini-burgers and try a few of them at once. 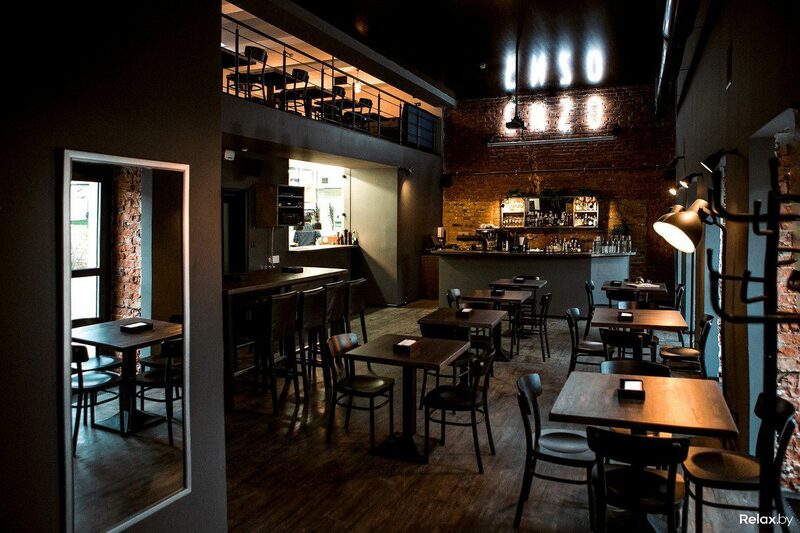 The place has a nice black colour interior with brick walls and a bar. We also recommend you to try their salads, for example the warm one with turkey and cherry tomatoes. Another English-style pub with delicious burgers! Here you will be able to try a few ones with different kinds of meat and fish. It’s also a nice place to watch a sport game with some beer. 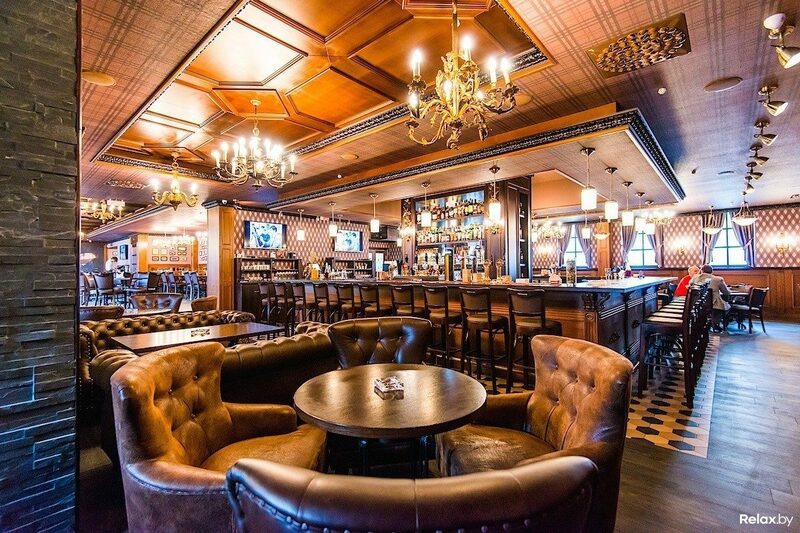 Enjoy some good English-style food and whiskey at Malt & Hops bar. It is a large bar so you shouldn’t have trouble finding a seat. They do not have a big choice of burgers, but ordering one of the two they have – beef or pork – you will taste deliciousness! One of the oldest and most famous bars in Minsk. Although it has lost a bit of its atmosphere after recent renovations, it’s still worth a visit. Its name is a variation of ‘Murphy’s Law’ in Russian (but actually it’s a ‘sandwich’s law’), and thus anything and everything can happen here. ‘Zakon Buterbroda’ runs 24-hours, making it your ideal afterparty destination. This places will offer you burgers from different countries: German, Japanese, Italian, French and, of course, a Belarusian one. Very atmospheric and traditional Irish pub with a big choice of craft beer and delicious burgers and steaks. 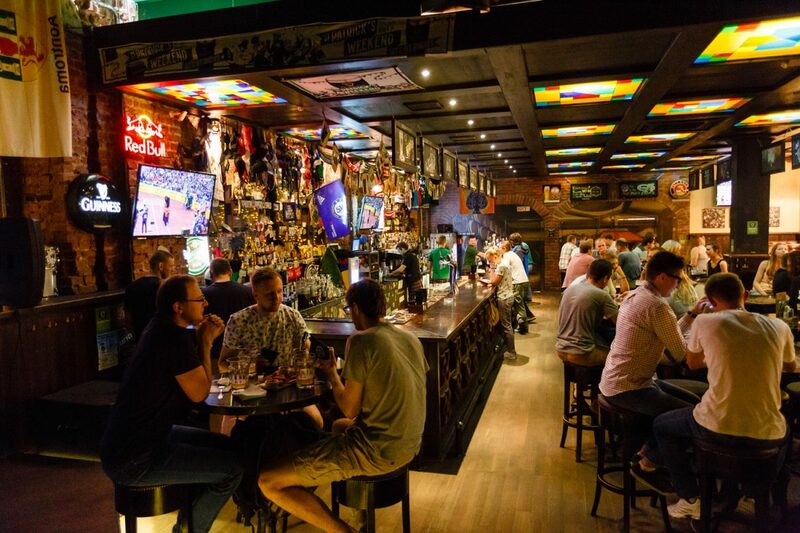 Here you can watch sport broadcasts and events in a good company, play table football and listen to cool Belarusian live cover bands every Thursday, Friday and during the weekends. Do you prefer pizza rather than burgers? Then we recommend you the best pizza places in Minsk.